Who is your favorite AFC Ann Arbor player? Why? Kyle Breitmeyer. Goals! I like his touch in the final third and I think he had a good nose for goal. Why is AFC Ann Arbor so special to you? What do you love most about the club? It’s uniquely Ann Arbor. Our familiy moved to Ann Arbor in 2011 and love it here. It’s fun and feels good to show pride for our great city! How does it make you feel knowing you're helping build something from the ground up? Ann Arbor is where we live and soccer is my favorite sport. 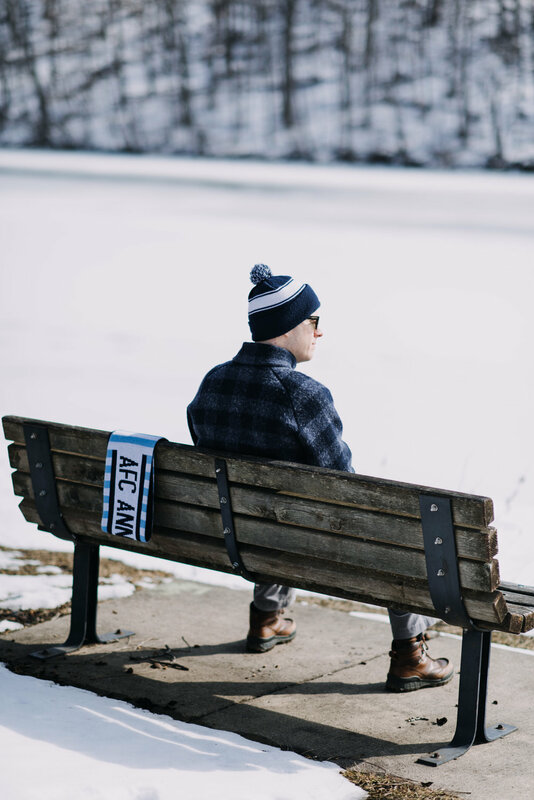 Supporting the beautiful game locally is a no-brainer. Playing a small part in the development of AFCAA feels great! What is your most memorable AFC Ann Arbor moment? Easy - The three goal comeback win against Lansing United! Spectacular comeback and fighting spirit. The crowd spontaneously started a chant of “AFC! AFC!” after the game winner hit the back of the net. To this day my daughter will sometimes repeat the chant when we drive down Main St. past Pioneer High School.